Status: At Anchor at The Canyon. 50 ft deep. Arrived last night at San Benedicto / Canyon. Two dives this morning so far. First dive current was moderate to the E, so few divers took longer to go down as current was on the stronger side. 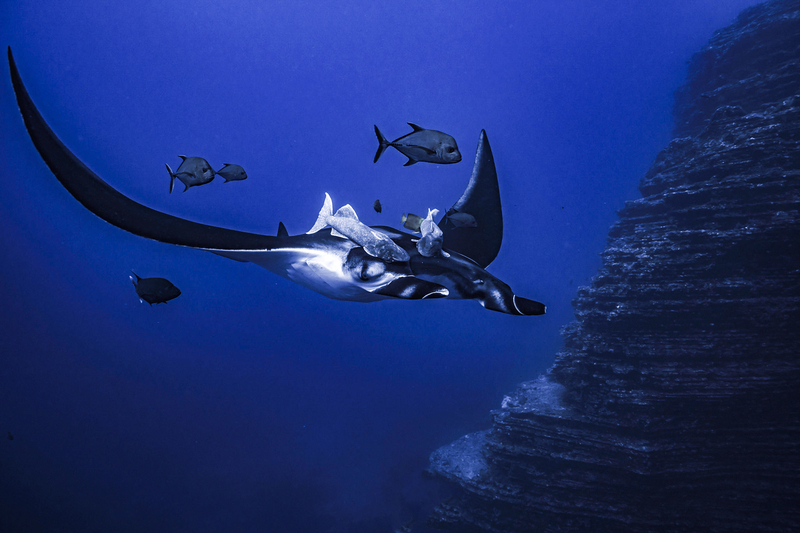 Divers could see one chevron manta, a few galapagos and sivertips and a couple of hammerheads. Wasn’t too bad for check dive. 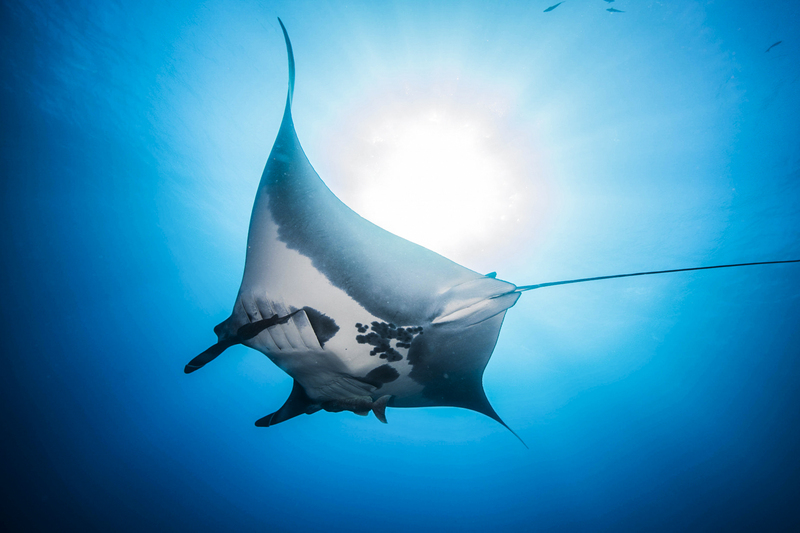 By second dive current had changed to S, but with that more mantas came. Total of 4 Manta, 3 Chevron and one Black. Plus 4 Hammerheads by the receiver and a couple of Galapagos and silvertips. Divers have enjoyed the first two dives and they are waiting for more. They are having lunch right now and relaxing. Planing to move to Cabo Pearce tonight after the last dive.